I came across an interesting and thought-provoking article by Peter Greene the other day, entitled Stop ‘Defending’ Music. His basic premise is that music has so many affective – or if you like ‘human’ – benefits that it shouldn’t need defending. He tells us that it is “universal’; he mentions its omnipresence in our lives and asks the popular rhetorical question, “Would you want to live in a world without music?” Most musicians, music teachers or just ‘music lovers’ would find it nigh impossible to disagree with many of the points he makes, but I think we need to take a much closer look at his argument. My view is that we should never stop, if not defending (defensiveness is not a desirable position in my view) then, proactively promoting the inestimable benefits that it can bring for our students – intellectually, socially and yes, affectively. 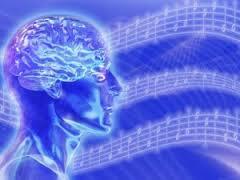 He states (and again, it’s impossible to disagree), that “listening to music is profoundly human. It lets us touch and understand some of our most complicated feelings. It helps us know who we are, what we want, how to be ourselves in the world”. 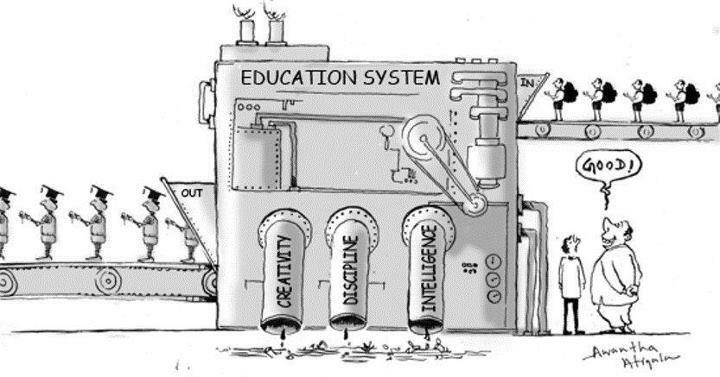 Those who run our education systems would be unlikely to see this a reason to include music, let alone enhance its provision: the people who make the big decisions; politicians, local education authorities (districts) and in many cases, school governors or directors, see these human aspects as wholly unimportant. 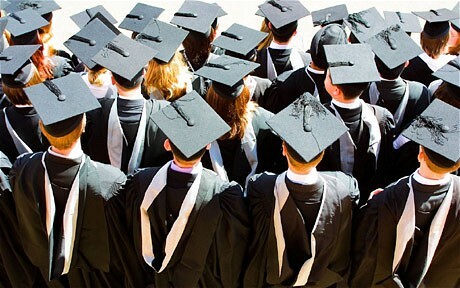 They may well argue otherwise, but in the main, there is a strong tendency for them to see their primary pedagogical task as getting people to pass standardised tests and later, exams, so they can go to university and then get a good job: either that or undergo ‘vocational’ training and move straight into employment. Both are myths in this day and age of course, but no one with power seems to realise it. This ‘factory model’ of education exists largely to provide personnel for industry (does it have enough vacancies?) which is also, on the whole, governed by people who, like so many parents, and teachers of what we might call ‘left brain’ subjects, regard music as nothing more than a form of entertainment and as such, quite trivial when compared to the ‘important’ subjects. I once had the misfortune, as principal of a large international school, to share the stage with the school director while he addressed a group of parents about subject choices. During his address, he referred to music and art as “relaxation subjects”: that says it all! Peter also reports that Music Education is often defended as “a great tool for raising test scores.” I too would be against this particular defence: to my mind, it is problematic and probably, politically ineffective because, in such an argument, there is too direct a connection between making music and test scores. The logic ought to be more along the lines of: ‘Since it is now accepted by increasing numbers of neuroscientists (keep it left-brain whatever you do! ), that regular musical activity has such a profound effect on the development of the brain, that benefits for learning in all curriculum areas are almost inevitable. Ultimately, this can have a positive impact on your students’ overall academic performance’. To claim that music raises test scores is of course, facile. I can’t be sure whether this is Peter’s rhetoric, or whether some people actually make such claims. If they do, then I too would ask them to stop – but for rather different reasons. Now when Peter tells us, “I can’t think of any other school subject that so completely fosters cooperation, collaboration, and connection between students”, he hits upon one of the key reasons, in addition to those mentioned above which, to my mind, might just stand a chance of being accepted by parents and the powers that be. The ‘three Rs’ of traditional education have been superseded by the ’four Cs’ of 21st-century education: ‘Collaboration, Communication, Creativity and Critical Thinking’. I believe that structured activity in music and the other performing arts, within an educational framework, can make a significant contribution to the development and application of all four. In addition to being essential to a model of teaching and learning that puts students at the centre, and that prepares them for the rapidly changing work environment of the 21st century, the ’four Cs’ are attributes, along with confidence, problem-solving and leadership qualities among others, that employers cry out for. If arts education were to be approached with this in mind (rather than trying to create musicians, actors or dancers), it can play an invaluable role in equipping students to compete for employment – as they will surely have to: Even if a student gets great results in High School and then goes on to get a first class honours degree, when he or she applies for a particular job, all the other candidates will have similar qualifications (this is obvious, but it’s often ignored). How then, will the employer select the right person? See above. I have, on many occasions, found myself discussing subject choices with students and parents. When the idea of pursuing music or drama has arisen, I have been asked so many times, “How will it help her to get a job?” There is my answer. The beauty of this approach, which some might consider somewhat utilitarian, is that the “deep, powerful human value” referred to in Stop ‘Defending’ Music will also, inevitably, accrue: it can’t fail to; and if certain students do appear to be destined for the concert platform, all the better; this can be recognised and their talents nurtured. 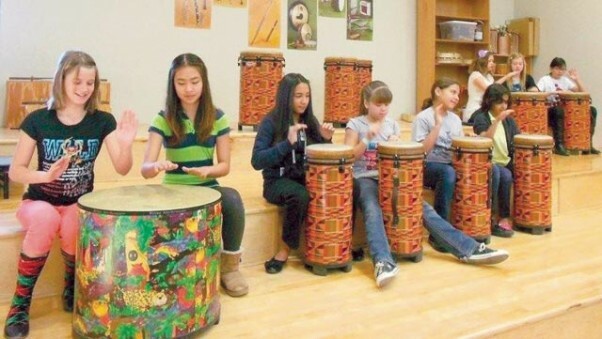 But for any of this to become reality, larger numbers of students need to participate in musical activity than do now, and for a longer time than most do now. My reply to Peter? “I agree. We shouldn’t have to ‘defend’ music in education – but we do”.